Karan Johar’s Kalank has been one of the most anticipated films of 2019, what with the legends, Sanjay Dutt and Madhuri Dixit coming together after a very long time. Also the pairing of Aditya Roy Kapur and Sonakshi Sinha is being looked forward to but the most awaited pair has been that of Varun Dhawan and Alia Bhatt. The duo who made their Bollywood debut together with Karan Johar’s Student Of The Year, did a few films together after that too. But Kalank is quite literally world apart. Based in the pre-independence period, the story revolves around the elite Chaudhry family, which houses several hidden truths. Amidst partition and communal tensions, there is a raw love-story rising between Roop (Alia Bhatt) and Zafar (Varun Dhawan). The other characters, Balraj Chaudhry (Sanjay Dutt), Dev Chaudhry (Aditya Roy Kapur), Satya Chaudhry (Sonakshi Sinha) and Bahaar Begum (Madhuri Dixit) also find themselves in tumultuous situations in this love saga. With opulent sets, captivating dialogues and enticing music, even the teaser, trailer and songs of the film garnered much praise. So, it was no surprise that those celebs who were lucky enough to catch the early screening of the film were bowled over by it. While Dhadak director Shashank Khaitan praised different aspects of the film in multiple tweets, Milap Zaveri, Sophie Choudry and Hiten Tejwani were among the early reviewers from the film fraternity to express their appreciation for Kalank, it’s cast and crew. But these were not the only celebs who attended the celebrity screening that was held last night in Mumbai. Celebrities like Ananya and Bhavna Panday, Janhvi Kapoor, Aditya Seal, Maheep and Shanaya Kapoor, Siddharth Roy Kapur, Karan Tacker, Kriti Sanon and Soha Ali Khan too attended and screening and we are eagerly waiting for their reactions. Directed by 2 States helmer Abhishek Verman, Kalank hits theatres today. It is produced under the banners of Dharma Productions, Nadiadwala and Grandson and Fox Star Studios. The music of the film is composed by Pritam, while the cinematography is done by Binod Pradhan. 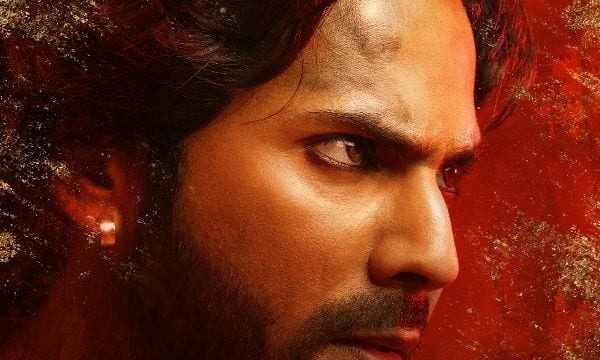 Stay tuned to BollywoodLife for more updates on Kalank!